Get the quote that's right for you. Choose an option below to get a quote for sales or service and we will get back to you as soon as possible. ASB Avionics (ASB), under contract with the NOAA, is developing a Dorsal HF Shunt Antenna for their WP-3 fleet. The P-3 HF Shunt Antenna builds on ASB’s history of HF Dorsal Antennas for L-382/C-130, KC-135, 707, 737, and 747 aircraft. The P-3 HF Shunt Antenna will eliminate the requirement for the existing dual long-wire HF antennas and will replace the existing dorsal leading edge allowing the antenna couplers to be mounted within the pressure vessel. The P-3 HF Shunt Antenna will require minimal maintenance, be immune to precipitation static buildup, lighting strikes, and damaging antenna wire breakage, and will reduce drag; improving fuel specifics. 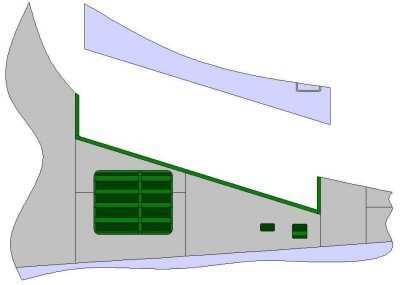 The new antenna is designed to be installed on all P-3 variants. Based on its other HF Antenna products ASB expects the RF performance to be substantially better than the less efficient long-wire antennas, as well as reducing Life Cycle Costs (LCC). In other news, ASB is in the final stages of FAA approval of its dual digital Automatic Flight Control System (AFCS) for the L-382/C-130 replacing the obsolete existing analog flight director/autopilot systems. 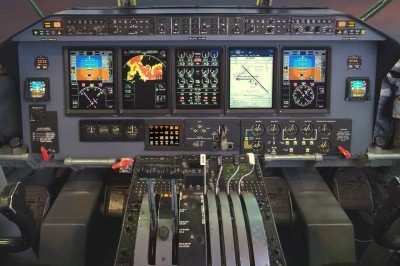 The Honeywell provided AFCS will complement ASB’s previously FAA certified Commercial Off The Shelf (COTS) Avionics Modernization Program (AMPS). The new AFCS replaces all existing analog flight director/autopilot components, substantially reducing Line Replaceable Unit (LRU) and wire count. The high Mean Time Between Failure (MTBF), low acquisition costs, and auto-flight characteristic improvements will help in reducing the LCC and improve the functionality and useful life of legacy L-382/C-130 airframes. Certification is expected by October 1st. ASB is also developing an Enhanced Vision System (EVS) installation to complement the L-382/C-130 ASB COTS AMP and expects FAA certification, parallel to AFCS approval.